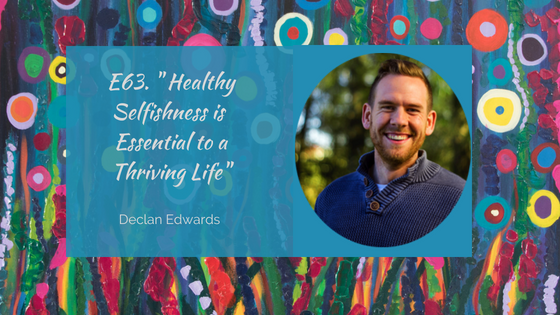 Today I join with Declan Edwards to bring you a very powerful message, whether you’re a Parent, a business owner, a Solopreneur or an employee we invite you to explore how YOU feel about putting yourself first. Putting yourself first is the last thing we think of doing – it’s selfish right! Wrong! Allow the information we share to really soak into your conscious and sub-conscious mind so we can help you make some big shifts right here today in understanding that when you put yourself first, rather than being selfish you become much more powerful in helping others, you can give more of yourself back to others and help them flourish and grow. There is a big difference between traditional selfishness and healthy selfishness. Declan Edwards runs an Australian startup business called BU Coaching. We empower people to overcome self-doubt, stress and anxiety by utilising evidence based methods of enhancing self-confidence and purpose. Being Able to Say No is a Skill That Can Be Developed. If you’d like to work with the host, Michelle Reinhardt or If you’re life’s not where you’d like it to be I’d love to remind you that you don’t have to ‘do this alone’ the journey of a lifetime begins with a single step, you took a giant one listening today, don’t stop now.